Growing a border hedge is in many ways the most simple and traditional form of hedging. Such a hedge simply shows where your garden ends. 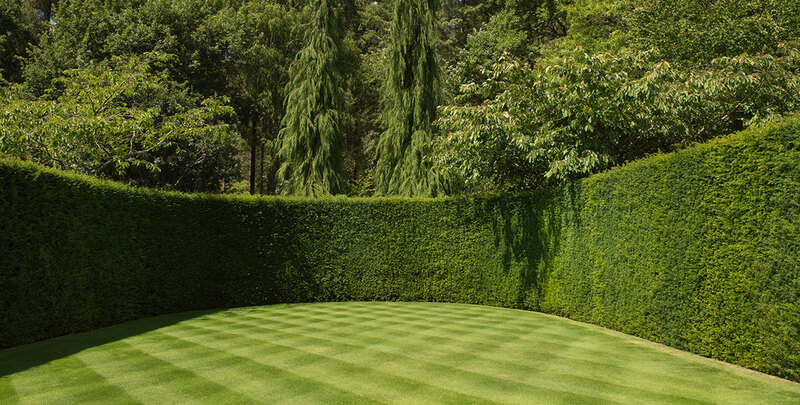 Of course, it can double as a privacy hedge or a security hedge, but low border hedges, such as the traditional, neatly clipped box hedges that often appear in palace gardens, are still highly in demand. If privacy is not an immediate issue, but you would still like an attractive hedge to mark the border around your garden, a low border hedge – perhaps a low flowering hedge – will lend a classic elegance to your garden. Another advantage of such a hedge is that it will not block any sunlight like many privacy hedges would. 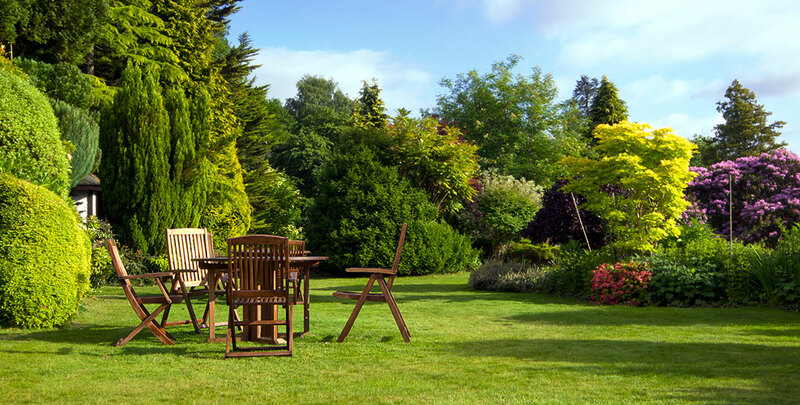 Of course, you could place a wall or a fence around the perimeter of your garden. These are inexpensive, relatively low-maintenance solutions which – depending on the type chosen – could provide you with a certain degree of privacy. However, these options are also a bit monotonous. Border hedges offer a multitude of options that walls and fences just do not offer. From formal evergreen hedges to playful deciduous hedges that look bright and colourful during their flowering seasons; regardless of your personal preference, there is always a border hedge available that will suit your garden and your wishes. Many types of hedge plants are suitable for border hedging and if there is more than one variety that appeals to you, it is even possible to create a beautiful mixed border hedge. Evergreen or Deciduous Border Hedges? If you are looking for a border hedge that will look beautiful throughout the year, you could choose to plant a hedge consisting of evergreen hedging plants, such as Japanese holly, the aforementioned box and several conifer species, like the highly popular – and native – yew. In fact, conifer hedges are so popular that it is almost impossible to walk through a neighbourhood without encountering one. While evergreen species do in fact shed their leaves, the leaves generally will not fall off until they are replaced by new ones, so your hedge will not show its bare branches during the winter months. If your hedge has a certain height – eye level or higher – such a hedge plant will even guarantee year-round privacy, as its leaves will obscure your garden from view during all four seasons. That does not mean, however, that plants that shed their leaves are without their merits. Many deciduous hedging plants will enhance your garden with beautiful, strikingly coloured flowers during their flowering seasons. These flowers are usually followed by berries that will add some extra colour to your garden and even if they are relatively inconspicuous, these fruits are generally eaten by birds and other wildlife. This is perhaps the most natural type of border hedge: not only are the plants around your garden more natural looking than a fence, your hedge will also actively help nature by providing nutrition to birds and pollinating insects, such as bees and butterflies. Another reason a deciduous border hedge could be preferable to an evergreen one, is the fact that it requires significantly less maintenance, if any at all. Some people cannot choose between different hedging species. In that case, why not consider a mixed border hedge? This is also an excellent option if you are simply feeling creative. One way of creating a mixed hedge is by combining deciduous and evergreen plants. 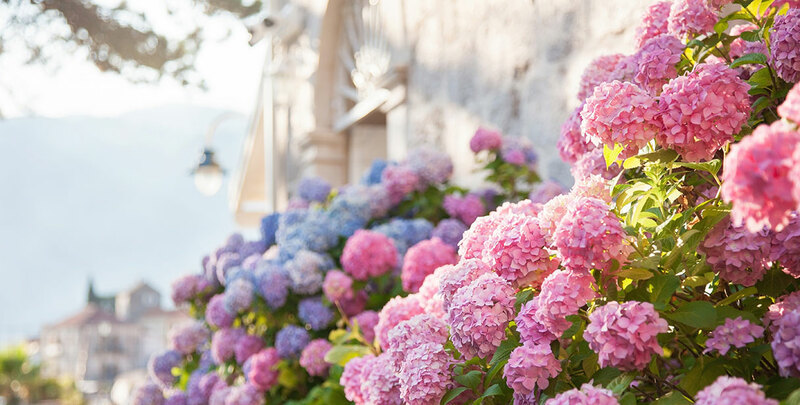 This way, you can have the best of both worlds by having flowering plants against a backdrop that will keep its healthy green colour even during the coldest months of the year. If beautiful flowers are what you are after, we highly recommend creating a hedge with species that have consecutive flowering seasons in order to enjoy the colourful majesty of their flowers for the longest time possible. 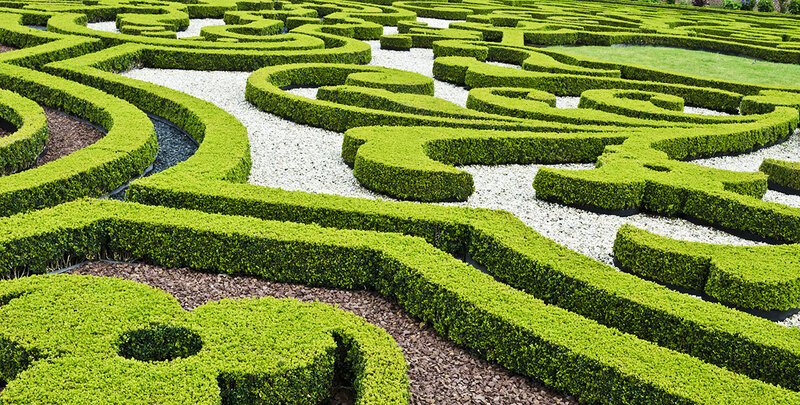 You could opt for one of the mixed hedges described on our website, but you can also let your imagination run wild. In case of the latter, please make sure that your garden provides the right circumstances for each of the hedge plants used. It would be a shame if one of your selected plant did not thrive in its new home. As you can see, border hedging provides you with so many opportunities that everyone can find something of their liking. Deciduous hedge plants, such as butterfly bush or hydrangea, flower profusely and their maintenance can be kept limited in order to emphasise their natural look, but if you prefer a hedge with a more contemporary, formally trimmed appearance, there are plenty of evergreens available that will fulfil your wishes.